Snitch is back, Afc lose, No Sahin, Arshavin to Fulham? Well what a difference 3 weeks makes, I jetted off for my holidays to the US of A full of optimism we could keep our captain and build on our squad. By the time I touched down in Orlando and found an internet connection our skipper released his infamous letter to the fans. I managed to relay my views at the time but since then I’ve been enjoying my time in the sun with the help of Mickey and his friends at Disneyland. Now after finally flying back, overcoming the jet lag and returning to work I now can resume sharing Arsenal news and my thoughts you with via the blog. In between the midst of the buzz created by the Olympics opening ceremony Arsenal managed to play a game against Manchester City in Beijing around lunchtime on Friday. A game which the gunners lost 2-0 and produced a number of positives and negatives really. Some of those were the same old we have been used to, defence going to sleep at times, full backs caught out of position for the goals, sloppy passes leading to chances for Man city. We did create a number of chances but the age-old Achilles heel of profligate finishing reared its ugly head. Our second half performance was more forceful and the introduction of Alex Oxlade-Chamberlain certainly added more class to the Arsenal team. In general I won’t start doom-mongering the forthcoming season based on the game. It’s pre-season, only our second game and many 1st team players have not even travelled to Asia. It’s a good exercise especially for the more fringe players and should benefit our players in removing some of the rust. I think the most important thing is the younger players show they can rise to the occasion and give Arsene Wenger food for thought. So far Chuks Aneke has stood out, Eisfeld’s goal in the last game will not go unnoticed and Bartley is getting vital time on the field to stake a claim. Benik Afobe’s pre-season hasn’t taken off yet as he was quite wasteful against the Malaysian XI and didn’t get as much minutes against Man City but I’m confident he can still show what he can do. Craig Eastmond, a player who must be in last chance saloon got some minutes and it was interesting to see him slotting temporarily into the right back role. It was a position he played in throughout youth, some claimed he wasn’t a great right back and he came to prominence from the moment he was shifted to midfield by Wenger against Liverpool in the Carling cup. I believe the key to his Arsenal future is his potential versatility, if he can produce as cover in the right back role he may just rekindle his place in Arsene’s good books; the ball is in his court. Typical Wenger statement really, keeping his cards close to his chest though if a deal was close he may have hinted. If any deal is on the table for Sahin or Santi Cazorla I do hope they get wrapped up pretty quick before any of our rivals come knocking with their blank checkbooks. We do not have good form when it comes to dawdling on negotiations for potential signings (and contract renewals it seems) so let’s keep our fingers crossed some more deals are conducted swiftly and under the radar like they were for Podolski and Giroud. Do you have what it takes to come out top of the pile in a fantasy league? Join my mini league in the best Fantasy league for EPL at http://fantasy.premierleague.com/ and prove you have what it takes. Prior warning I will win but if you fancy making up the numbers join my league with the following entry code: 377771-102013. News started circulating yesterday that Aaron Ramsey is on the radar of Fulham. It has been suggested that the west London club are preparing a bid for the Welsh captain as they look to find a replacement for Danny Murphy who yesterday signed for Blackburn rovers on a free. Murphy has been a big player for Fulham over the years and it would be no surprise that Fulham would look to a big player to fill his boots. Ramsey hasn’t had the best of times in the season gone; Arsenal fans were divided in support for the Welshman as his form fluctuated throughout the season. In Ramsey’s defence it was his first full season at Arsenal after his horrific leg break, he was not rushed back into the side as Arsene Wenger took on the cautious approach to his rehabilitation. A couple of loan moves in the 2010-11 season helped him along the way and with a full pre-season behind him he seemed ready to work his way back to the level he reached before the long term injury. One thing that wasn’t in the plan was the long term injury to jack Wilshere which disrupted Arsenal’s midfield options through the season. This in turn led to Ramsey playing a lot more games than planned. In a season where he should have been eased back into the team he was thrust straight into the heat of the action and probably didn’t get the chance have the break he clearly needed. He clearly has the talent to feature as an important cog in the arsenal midfield for years to come and taking into account his young age he is still learning his craft. He was such an exceptional talent at a young age that many forget that he is far from the finished article at the age of 21 especially with the last 2 years disrupted so badly. The question is what will Arsene have planned for the midfielder? I certainly don’t think Wenger would be mad enough to sell Ramsey to anybody however a loan move would not be out of the question. 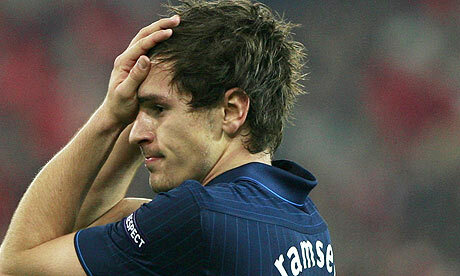 If Ramsey could get the opportunity of a loan playing at premiership level it could help him sharpen up his game again. The duration of that loan? I’m not too sure if a season long loan would benefit Arsenal, maybe a 3 month loan would be more realistic. He just needs a change of scenery for a short while then a return back into the arsenal team. Whether Fulham are prepared to accept a loan we will have to see but the figures of £5.5m rising to £9m based on appearances etc are laughable. To be honest more evidence is required for this transfer rumour to gain credibility, Fulham have indeed been previously in for the player trying to take him on a season loan at the start of last season but Ramsey’s name could just be a knee-jerk reaction to the loss of Murphy. 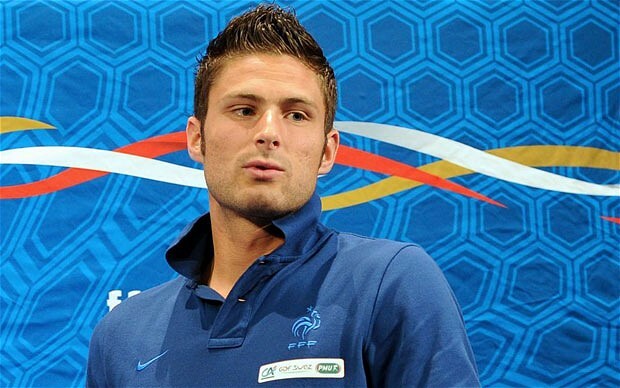 Olivier Giroud’s transfer to arsenal has moved even closer as the Frenchman was snapped in the UK apparently on his way to complete a medical. Very good news indeed though announcement of the official transfer will probably be held off until the full photo shoot and interviews are conducted with the striker. No point in wondering if the transfer will happen but more a case of when will the deal be announced. With the Giroud transfer wrapped up now all we need is Yann M’Villa to get a move on. Once we wrap up the signing of our targets and Robin signing a contract extension then we can focus on offloading those who are surplus to requirements. Well wow that was a tense final game wasn’t it? All gooners, myself included woke up yesterday even more nervous than the day before. So much to lose, we did not want fourth, no way in hell would fifth be acceptable but leading up to the game these were all possible outcomes. The news that Clint Dempsey was definitely out of the game against Spurs and not a hoax meant even more we had to do the job ourselves. Robin Van Persie was still on course to achieve another record; one more goal would equal the record 31 goals in a 38 game season. Would we accept RVP getting the record and finishing fourth? Erm no thanks. Onto the game and in typical Arsenal fashion it was not a straightforward affair. We tried our best to recreate the Norwich game . It almost seemed a jinx that if Yossi scored early for us in the game we would eventually be 2-1 down. And so it went, great perseverance from Yossi to close down the Fraudster impersonating a goalkeeper led to an easy tap in to take the lead. News had filtered through just before that Spurs had taken the lead. It was important to get that goal so the nerves didn’t get to players if they get wind of the score from white hart lane. So much for keeping it simple West Brom were level within 6 minutes and to be honest it was an injustice the goal stood. Shane long was clearly offside. Decisions like this can have such repercussions on a team and Mike Jones was a lucky man that the final result worked in Arsenals favour. Just look at the goals Bolton conceded against Stoke to see how a referee error can cost you. I can only put the second goal down to nerves as Graham Dorrans slotted in easily to put West Brom 2-1 up. Oh dear one of those days again? Please God no. Right on cue when we were struggling to get our rhythm Andre Santos lashed in a desperate shot after a West Brom player was robbed of the ball just outside the area. A good shot on target indeed; but a bread and butter shot for a half decent keeper. Mr Fulop proceeded to palm the ball in at his near post. Good times, this was the game changer for me. A vital goal early enough in the game for us to push on and hopefully win now. Fulop was inspiring the Arsenal players, he certainly inspired me as he looked to make a mistake every time he was near the ball. We needed to win this as Spurs seemed to be comfortable against a Dempsey-less Fulham. Half time finished at 2-2. Not a complete disaster, we had a whole half to reorganise, Wenger had a chance in the interval to drill into the players that they needed to switch on and focus. Second half we came out more determined, Theo came on at the break for Rosicky, I presume in the hope of causing West Brom to have more to think about from both wings. Gervihno was a threat constantly but had one of those games where every time he worked a good position he messed it up. The important thing is by working these positions is West Brom had to adjust to ensure his threat was nullified Theo on the other wing would give them even more food for thought. Eventually we nudged ahead in the game, that man Fulop was again sticking two fingers up at Spurs. From a corner swung in by Van Persie the keeper managed to connect with a punch. The punch to my amusement went in the opposite direction you would expect (behind him) and spun just enough for Koscielny to poke in the winner. An absolutely amazing goal due to the sheer comedy value and the importance in our quest for third place. The rest of the game was a nervy affair, Arsenal don’t do comfortable. A fourth goal would have settled everything. We managed a few breaks here and there but a fourth goal wasn’t coming. We needed to maintain the discipline and focus to see this out. An absolutely terrific last-ditch tackle from Gibbs towards the end of the game typified how much we wanted to keep this. Arsene was pictured on the touch-line showing as much nerves as us fans. The 5 minutes of injury time wasn’t easy on our heart rates but eventually the final whistle went and the game was won. 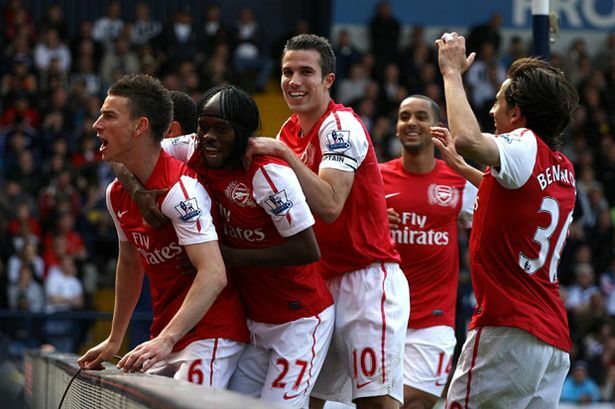 St Totteringham day finally!! Normality resumed, Spurs below us confirmed. A Great day all round, the tension finally gone. If I ever see Fulop in the street I will shake that man by the hand. He would probably somehow mess that up. Even given the events in Manchester my only focus was on the Arsenal. Everything else was and still is irrelevant. My only concern is the Arsenal. Enjoy your day people. I certainly will.